It will provide direction to all nurses and the interprofessional team who provide care in all health-care settings to people (>15 years of age) with type 1 and/or type 2 diabetes and who have established diabetic foot ulcers. 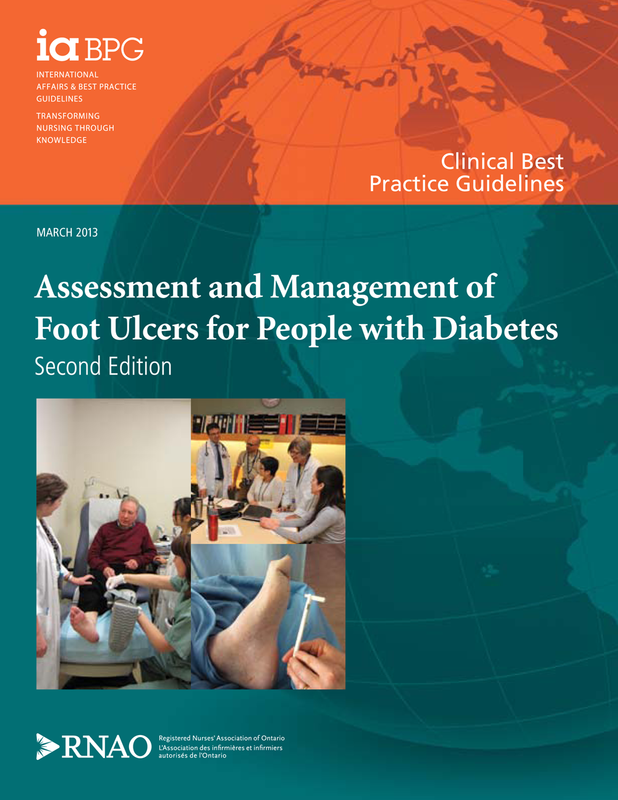 At the request of the Council of the Federation (CoF) Health Care Innovation Working Group on Clinical Practice Guidelines (CPG) and Appropriateness, the RNAO offered two national webinars in March 2013, at no cost, to introduce participants across Canada to RNAO's 2nd edition of the Assessment and Management of Foot Ulcers for People with Diabetes Clinical Practice Guideline (DFU CPG). The first webinar provided a brief outline of the RNAO guideline development process, and presented an overview of the DFU CPG, highlighting the scope, evidence, and specific recommendations.